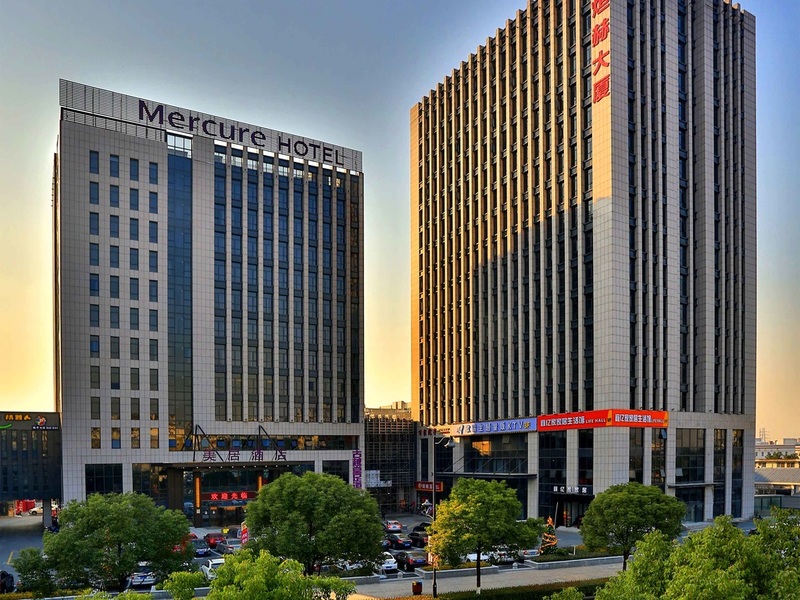 Mercure Hangzhou Linping Hotel is located in the Yuhang Economic Development Zone, only steps away from Century Park, Xintiandi and Intime Department Store. It is 10 minutes drive from Yuhang High-Speed Railway Station and Metro South Linping Station and 30 minutes by car from West Lake, Xiaoshan Airport and Hangzhou East Railway Station. The hotel features 158 rooms, a Chinese restaurant, Western restaurant, lounge, fitness centre and flexible meeting facilities. Mercure Hangzhou Linping Hotel is located at the North of Linping Yuhang district, the most dynamic financial, commercial and cultural zone. The hotel is close to Peace International Expo Centre. All 158 rooms and suites enjoy great views of Linping Mountain and feature high floor-to-ceiling windows, modular furniture and large screen televisions. Our stylish Western Restaurant on level 1 has floor to ceiling windows and can host events of up to 80 guests. Savour local delicacies and international flavours during the buffet breakfast, à la carte lunch and dinner. Our Chinese Restaurant on level 3 features a grand dining hall and 11 private dining rooms. It serves authentic Hangzhou, Anhui and Cantonese cuisine. With its large LED screen, the restaurant is the ideal choice for gatherings of up to 600 guests. Located on the 1st floor, our Lobby Bar features floor to ceiling windows. The ideal venue to savor local delicacies, enjoy authentic French wines and admire spectacular city views. Available to host events of up to 80 guests.